Formed in 1991 with Joe Gorski - Guitar, Mike Trush - Vocals, Bass, Rich Yurgevich - Drums, and Frank Ierovante on Guitar. 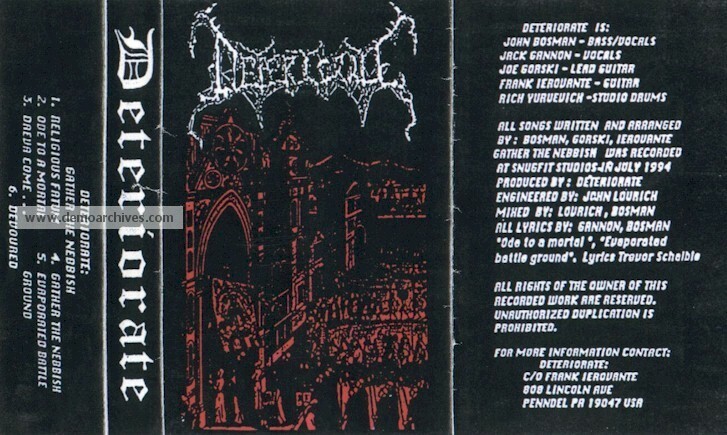 Previously a straight forward Death Metal band DETERIORATE would evolve into a more Black incarnation with later releases. The band folded in 1997. Erstwhile members of DETERIORATE would form ZAHGURIM.